You probably already know that mattresses can be a swathe of dust mites and bedbugs which happily thrive amongst the remnants of dried blood, sweat, saliva and any other type of bodily fluid you care to mention. 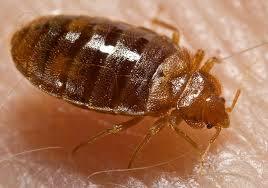 Bed bugs tend to be around half a centimeter in length and their favourite food is you! They’re well adapted parasites and once you have them, they can be quite difficult to remove without professional help. Dust mites on the other hand are tiny microscopic eight-legged creatures who just as much as bed bugs, love your mattress. It’s thought that as much as 10 percent of the population of Australia are allergic to house dust mites and for some they can bring on severe asthma attacks. If this wasn’t bad enough it’s not the dust mite itself that causes many people to cough and wheeze, it’s their dead skin and excrement. Not wanting to gross anyone out of course there are steps that you can take to maintain the healthy state of your mattress. Especially if you’re looking to sleep well and sleep soundly. Let’s take a look. A good vacuum of your mattress once every few weeks is undoubtedly the cornerstone in the defence against unwanted guests. It can prevent any infestations or colonies building up that are going to cause you and your health harm. A protective mattress cover (the sort that prevents damp) can also act as a barrier between you and your unwanted guests. They also prevent any harmful mould spores from forming which can also cause long-term breathing problems. If you’ve got pets then try to keep them off the bed. They can also be carriers for other undesirables such as fleas and ticks which may also infiltrate your mattress to join in the party. Finally, if you really want to make sure that your mattress is about as bug free as you’re going to get it, then it pays to get it professionally cleaned. Many carpet cleaning services also offer mattress cleaning as an add on service, so it might pay you to take advantage of it. Most will have access to powerful portable equipment to make sure that your mattress is fresh, clean and above all safe to sleep on, leaving you to have nothing but a good and healthy nights sleep. If you want to know more about having your mattress or carpet professionally cleaned and you live in the Brisbane area then contact Carpet Cleaning Kings. With years of experience in the industry we pride ourselves on exceeding customer expectations. Call us today on 1300 7000 75 for a competitive quote. Trust us, you’ll be glad that you did!